How to Travel with Friends and Still Be Friends after the Trip #AtoZChallenge - A Rose Is A Rose Is A Rose! KG and I have traveled together as a couple and with friends. Some of our travels with friends have been epic in terms of fun and adventure. We have made some lifelong memories with some of our friends on these trips. In fact, we developed a deeper bond with them after our travels together. With these travel friends, there’s never a single dull moment. They know how to make you laugh and can keep you entertained for hours. The best thing I like is unwinding in the evening and sharing some incredible conversations over drinks and dinner. Once, someone had an altercation with a local, other friends sorted the issue amicably. There’s certainly safety in numbers especially in a new place. Also, with more people, there’s a wide range of skill sets that are available. Someone can cook, someone knows how to handle cranky kids or knows how to bargain while shopping etc. You know, travel is amazing. And traveling with friends is even more amazing! Right? Traveling with friends sometimes can ruin your vacation and make you wish that you had gone alone. The purpose of a trip together is to enjoy and explore. But when there is a mismatch of travel goals between you and your friends, it all goes downhill. We have traveled with friends who would rather sleep than wake up early to do a small trek or watch the sunrise point. There have been instances, when people disappear at the time of payment. Then there are fussy eaters, slow walkers, too critical about accommodation, believers of too much PDA, too laid back, cribby crabs, stingy about tipping…. Sometimes these things are minor irritants, and sometimes they can lead to a big falling out. It doesn’t have to be that way, though. So, how do you travel with friends and still be friends after the trip? Have similar travel goals and travel style. What are your expectations for the trip as a group? Do you want to relax in the hotel pool or visit the touristy destinations or explore little known streets and hidden neighborhoods or shop? Do you want to splurge on meals, or travel on the cheap? It is better to know all this in advance so you eliminate at least a few surprises. Talk about money. Friendship and money don’t mix. As a group decide how much money should be budgeted for food, transportation and entertainment. It seems awkward, but it can help reduce arguments in the long run. I have used Splitwise, an app that helps keep track of group related expenses. Spend time apart. You don’t have to do everything together. It’s best to do some activities separately on some days. And then you can exchange notes over dinner. Be flexible. We all have different temperaments and routines. It is important to respect the differences and go with the flow. Communicate. Personality clashes happen all the time in friendships, and the resentments and conflicts tend to increase when you’re on the road. Don’t let things fester. Talk and laugh it out. When a friend said, “I can’t believe that we are arguing over the type of pizza to order”, it diffused the tension immediately. How have been your travels with friends? Do you have any tips about traveling with friends? Drop a comment below. Yes, it’s best to travel with like minded people. Thanks KP, glad you liked the tips shared in this post. Thanks for dropping by! So true! I have traveled with friends and sometimes it’s good and sometimes not. But like you said, much of it has to do with the “style” in which people like to travel. It is VERY IMPORTANT to have those kinds of “talks” before getting excited about traveling together. That’s the only way I will ever do it again! Well said. Having the ‘talks’ before the travel helps you to not have any heartaches later. Thanks for dropping by, Kathy! Ah! So sorry that you had a bad experience, Susan. It’s true, that when you spend a lot of time with someone, it’s a revealing kind of time. You see a new side of a person as he leaves behind his routines and is pushed out of his comfort zone. And Mark Twain is right about it once again! 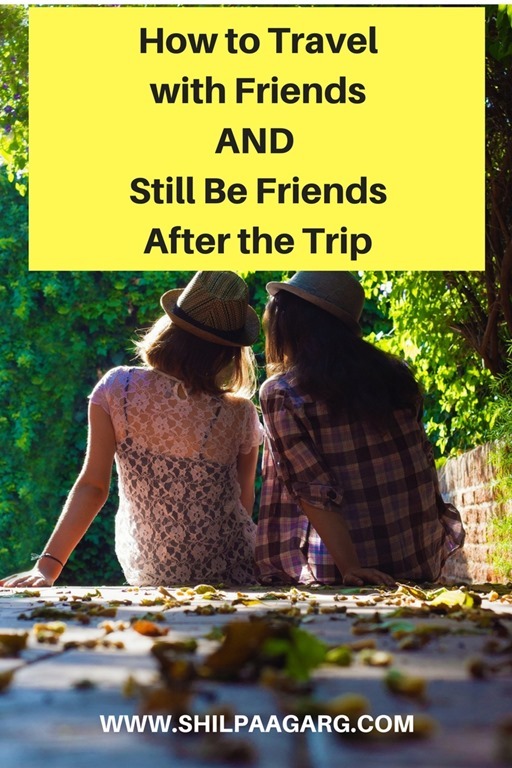 You have summed up all the pros and cons of traveling with friends. I have traveled with friends with similar goals and with friends with different goals. With former ones it becomes memory of a lifetime, with different ones we decided to split into groups as per own interests. Thankfully none was nightmare. Glad that you salvaged the situation by splitting into groups of similar interests. I have realized that it makes sense to travel with people with similar tastes and travel goals. A mismatch in travel goals can truly ruin your trip. Well said, that’s exactly how travel with groups should be – stay together and do individual things as well. Good one. But we never travel with friends. We are very impulsive. If we don’t like a place, we will immediately go somewhere else. If we like a place we will decide to stay for an extra day. We cannot do these if we travel with friends/relatives. Yes, there is not much flexibility when traveling in a group. Then we have to follow the group norms. A very important topic to cover in travel Shilpa; so often we make plans on an impulse with friends for a travel only to realise we are ill matched and the trip and friendship ends up ruined. True, travel with friends sounds very exciting, but all that fizzles out if there are unmatched goals and expectations. Haha… Lovely theme for the post. And yes, a topic that doesn’t arise between friends while planning but can be a major issue during the trip… Better to plan it all down – similar interests, payments issues. Yes, before the trip it’s all euphoria, but it fizzles out during the trip, so it’s better to make things clear beforehand. Thanks Roshan, glad you enjoyed this post! Ah! I can imagine, but glad that it worked out later, with you and your friend, Neha! Ah! Money and friendship is like oil and water. It’s always better to keep record and contribute equally! A very important aspect of traveling , Shilpa. I have traveled with groups, and could sync with some while I just couldn’t gel with the others. Love the points you’ve listed out. Thanks Mayuri, glad you enjoyed reading this post! I’ve travelled with friends and managed pretty well. We make kitty of sorts right at the beginning of the trip. And one person keeps track of payments. Luckily we have an excel sheet fanatic among us and that really helps. Useful piece Shilpa. Ask your excel sheet lover friend to check out Splitwise app… it’s AWESOME for group finances. These are good tips, I think. I’m very sceptical when it comes to travel with people. For me, it works in short trips. But for long trips, I always prefer to do it alone or with my husband. I know what you mean, Eva. Short trips are manageable with a group, but for long, it’s better to travel with family or truly like minded people. 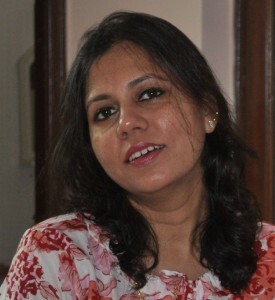 you are right shilpa, I agree that its important to discuss about the journey with the friend you are travelling. I am very choosy about whom to travel with and like you mentioned – I like to have clarity about the accommodation, purpose of travel, budget cost – and freedom to be on our own sometimes, I remember my trip to the north east, some places i preferred to see places on my own, since we had the cab with us 24 /7 and were clear about our agenda, there was not much problem. Well said, it’s better to have clarity on everything before hand. It avoids unnecessary hassles later on. Agree about doing things individually even when traveling with a group. I’ve experienced all you mentioned, both good and bad. This is my first Blogging A to Z Challenge and I’m loving seeing the work of others. Inspiration all over the place! Yes, communication is the key to sort all issues! Thanks Sayan. Have written this from experience – the good and the bad! SIGH!! Happy travels with your friends and do share your experiences! I have majorly traveled with family, but it seems like we will be soon joined with many friends as well. This post will definitely help, especially when to enjoy with the group and when to have a private time. Aha! That’s nice, Rohan. Have a great time with your friends. The key is to communicate and have similar travel goals. Such a vital post, Shilpa! A few years ago, I went on a road trip with some friends and it was the worst trip of my life. I almost gave up on them and took off on my own. Yes, we’re no longer friends. Traveling teaches you a lot about people. Every small whim and fancy comes to the surface and it is not always pleasant. Since then, I’ve found the perfect travel partner in my husband and we just go together without anyone else. Over the years we’ve traveled twice with friends and thankfully it has been a good experience. Friends being honest about money and having the same frequencies and tastes as us, made it easy. Ah! Such bad experiences truly put you off such ‘friends’. We have experienced the same too. It is always best to travel with like minded people who have similar travel goals. I remember, we went with a vegetarian couple in J&K. Now J&K is a paradise for meat lovers, they have some really unique and amazing non vegetarian dishes. And during the whole trip, it was so tough for us to try the non-veg dishes as they would constantly frown or make snide remarks. It was soooooo annoying. Thanks Soumya, glad you enjoyed this post! These are really relevant things here. Especially money matters. I didn’t kniw there was an app for the same. Sometimes money just didn’t get sorted in our travel groups as no one had thought to note down each and every expenditure. this is a tough one. i’ve found a prefer to travel alone. while it’s fun to experience things with friends, i enjoy my alone time too esp in the hotel room to decompress from the day’s activities. so i like to get my own room and meet people to do things with. Yes, traveling alone has it’s perks just as it is with friends. Agree with you, about having me time even when traveling with a group. Good post. I don’t often travel with friends because of all the problems you mention. One of my neighbors–one I definitely wouldn’t travel with–went across the world with a friend, even sharing a hotel room. The friend came home early. I understood. Ah! It must have been really bad for that friend to come back early. Traveling with a companion reveals everything – the good, the bad, and the ugly. I never asked (how do you ask about that?) but since I knew the woman she left, I figured I understood. I know, you can never ask such things. Sad that they ended that way! Since I have been single again I’ve really enjoyed my travels more. No need for a daily discussion, no need to compromise – I just do what I want. Most of my trips are with groups of people from all over the world who’ve I’ve never previously met, but we always have the same aims and objectives in mind. Meeting fellow travelers who also have similar travel goals is really interesting. You can connect with them and then disconnect anytime to do your own thing. Your post just reminded me how I have came back from trips with friends with grudges and bitter memories of squabbles. I wish I had read your post earlier. I ca relate to that and know how such experiences leave a bad taste in mouth!! HI Kishor. The comment section on your site zigreads.com (for Ravana Leela Review is not visible. Mark Twain was so wise. Thank you for Splitwise. It sounds like a good practical app to save friendships in peril when out on adventures–especially city breaks and such. In recent years, I’ve been on many trekking trips with some friends but as these are all paid for in advance and we’ve all chosen to come out to trek, the experiences have all been good. Do check out Splitwise, it is a great way to manage group expenses. Oh this is very important to have like-minded friends. Money is one thing I feel which needs a discussion before travelling. The trips are much more fun with friends whose wavelength match with us. Well said. Money is a tricky thing between friends and there should be clarity on this, definitely! These days mostly it’s travel with the family, solo or with close relatives. Like I had mentioned, some people are really annoying especially when your wavelengths and interests don’t match. Your pointers are very helpful. I think it is best to go with friends we are comfortable with. Well said, Rachna. Either clear the travel goals before the travel or travel with like minded people. Else it ruins the whole thing – the travel as well as the relationship. so true i get very cheesed off by people who take plans and timelines too lightly. the tips you’ve listed at the end are great. Ah! tell me about it. Have come across so many people who just dont value other people’s time! Thanks Nayantara, glad that this post resonates with you! I had travelled with friends during college days. and I had the mixed experience. of course, it was fun but sometimes minor conflicts happened too. great tips..enjoying reading your post. Oh yes, minor tiffs are part of the game. The problem is when these tiffs grow so big and annoying that you prefer to turn away from these friends. Well said. When traveling a person is out of his/her comfort zone, so you get to know the person real well on a trip together. Like you, I have found some great friends in fellow travelers. Thanks for dropping by, Archana! Really good post. Travelling with Friends and family is extremely fun. But it can also be stressful, which causes tension. Specially due to money matter.